No business owner thinks that their website will be hacked. But, in today’s tumultuous online landscape, it’s more important than ever to ensure that your website is designed with security in mind. As the number of threats and vulnerabilities continues to increase, a growing number of companies have found themselves in the crosshairs of an online hacker. Here’s how to design a secure website that properly protects company and consumer data. 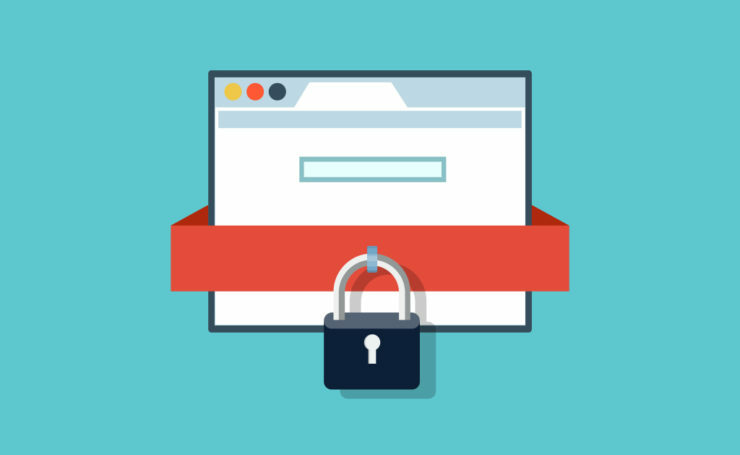 Most web users are well aware to look for an https connection when providing sensitive information to a company’s website. Using HTTPS is especially important if you run an online store and will be collecting personal customer data like name, credit card information, and address. To use HTTPS hosting, your website must have a valid SSL certificate. This allows a secure encrypted connection to be made between the user’s browser and your website. With HTTPS, there’s virtually no risk that the connection can be intercepted by a hacker. Hackers today have access to a variety of password cracking tools that can be used to brute force simple passwords. As a website owner, it’s important that all of your administrative passwords are complex. Ensure they include a mix of upper and lowercase letters, numbers, and special characters. It’s not uncommon for developers to use scripts and other open source software when designing a website. These tools are prized for their availability and accessibility, which has its perks but also its pitfalls. A good-intended web developer can use them to meet a complex web need quite easily. But, a malicious user can also exploit these tools, finding security vulnerabilities and using them to take control of your website. Using a script, a hacker can scan all of your website’s directories, allowing them to easily locate those that are for admin functions. If you have directories named admin or login, take a few seconds and rename them! Many of today’s top content management services allow users to rename these folders.